Happy Friday!! This is going up prettty late tonight because I ended up unexpectedly getting dinner with my grandparents tonight! It was wonderful. But I still wanted to be sure to get my favorites of the week up because there’s been some great things I’m loving this week! You guys know how much I have been loving podcasts lately. I’ve been planning a round up of all of my favorites, but this week I discovered a new one that I just had to share right away! The Journeywomen Podcast is a Christian women’s podcast by Hunter Beless. 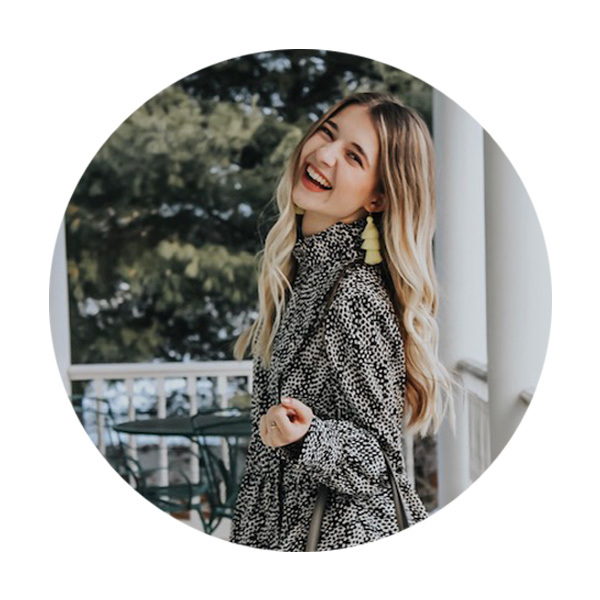 Each episode Hunter chats with Christian leaders about various topics and “gracefully navigating the seasons and challenges we face on our journeys to glorify God.” The other day I listened to episode 75 with Lauren Weir on Intentional Questions, and wow, it was GOOD! I highly recommend checking this podcast out if you are looking for some uplifting content that will keep you entertained, and also aid in your journey with Christ! I actually JUST got this cardigan in the mail yesterday and wore it out last night for the first time! I’ve already gotten so many questions about it, so I wanted to get a link here on the blog ASAP! This gorgeous cardi is under $30, super on trend for this season, and on Amazon Prime! FREE TWO DAY SHIPPING BABYYY! I’m so glad I took the chance and ordered this, because it is gorgeous! My only tiny issue is that it is pretty oversized and a little longer than I would like, but also, keep in mind, I am severely vertically challenged at just 5’2….so that may be why! I went with a size Small, if you are able to, I would recommend sizing down one size! This week has been busy busy busy and honestly, I’ve been ALL about those simple, everyday items that just make my day a little better. And it’s time to profess my love…to La Croix. I know, I know, this stuff has some serious debate! It seems like everyone either LOVES it, or HATES it. Well, I love it. I cut soda out of my diet several years ago now, but I will admit sometimes water and coffee gets boring (I’m sorry, coffee. I still love you deeply). So I’ve really been loving La Croix! My favorite flavor is definitely Apricot, it’s the sweetest of the ones I’ve tried so far and tastes the least like plain carobonated water. But I’ve also really loved the Kiwi-Watermelon, Grapefruit, and Peach-Pear! What did I tell you guys? I’m all about the simple things this week! I just got a pop-socket on my phone! I put off getting one for SO long because I didn’t think I’d like it. But I LOVE it. I’m an incredibly anxious person and especially in class, I get very fidgety. And I know this may sound silly to some, but I feel like a pop-socket is like an adult fidget spinner! Over the last few days fidgeting with my phone has kept me from picking my cuticles (my horrible, nasty, anxiety resulted habit)! Also, it’s easier to take selfies. I’m not saying to get one, because they’re probably pretty unnecessary, but I like mine a lot! Last, but very not least, this week’s song of the week: Even Then. Wow. This song has been on repeat all week long and I cannot get enough. SO many good lyrics, such a beautiful message, I can’t recommend this one enough! Have a great weekend friends! Jesus LOVES you! The leaves are changing, Halloween is almost here, and I’m on my second gallon of Apple Cider this Fall. I LOVE this time of year. I’m going to be honest, this week was a little rough and I’m glad it’s over. But I’m excited for this weekend. Mark comes home tomorrow and we have a couple Halloween parties to go to. We’re going to be bank robbers, we decided tonight. So I really need to throw together our last minute costumes! I also have an essay to finish by midnight, so let’s jump into my favorites from this last week! I would consider myself an expert of all things ice cream/gelato, I mean, I run an ice cream shop…needless to say, I’ve had a lot of ice cream things in my life. But this week was the week that I tried the greatest, the most delicious, the absolute best gelato or ice cream I have EVER had. Run to the grocery store and try this gelato! The Talenti Caramel Apple Pie flavor, with chunks of pie crust, apples, and lots of caramel mixed in, is perfect for Halloween weekend. I’ve already gone through my first pint, and I’m planning to snag more tomorrow! Last week I shared one of my favorite “true crime” Youtubers, Danelle Hallen, and this week I’m excited to share my favorite podcast, The Vanished. Like I mentioned last week, I’ve always loved content regarding true crime. I think it’s fascinating and important to learn about crime in our world today. We can learn so much and potentially make a difference in a case, just by listening. Each week Marissa shares the stories of missing persons across the country, interviewing family and friends in the podcast, and working hard to bring as much attention to the cases as she can. I’m truly impressed by her show and I highly recommend checking it out! Not only is it great content, but she is doing great work aiding in the cases. I highly recommend subscribing! GUYS!!!! I FOUND IT!!! I snagged this gorgeous turtleneck at Burlington last week, shared it on my stories, and immidately got several DM’s about it. And I couldn’t find it ANYWHERE. But, after lots of searching, I tracked it down! It’s under $40 and linked here! I sized up to a Large for an oversized fit, I’d recommend sizing up at least one size if you like that fit too. Who remembers when you were cool if you wore a fitted Aeropostale tee, flared Pink yoga pants and a good ole pair of Ugg boots? Well, I’m still cool guys. I STILL love my Uggs and I’m not ashamed to admit it. However, my good old Ugg are looking a little ratty these days. But I just didn’t want to bite the bullet to buy another pair. Then, I came across these super cozy Minnetonka boots at TJ Maxx and I LOVE them! They are super warm, cozy, and frankly, look just like Uggs! I think they make a great Ugg “dupe” if you aren’t wanting to spend too much! I know, I know…Lauren AGAIN. She’s just too good. I can’t get enough, what can I say! This album is GOLD. Stay safe, eat lots of sugar, spend time with those you love.